Drawing on many years experience, Retail & Marine services offers a quality service to both the retail and marine market. In the retail market we undertake a range of cabling solutions along with equipment installation and relocation. 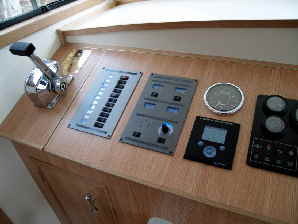 In the recreational marine market we undertake both AC and DC installations including battery charging/monitoring, off grid AC power generation, communication/navigation equipment, security systems and audio/video entertainment systems. Our aim is to provide a high quality professional service that can be specifically tailored to your needs be that of the end user or the equipment supplier. 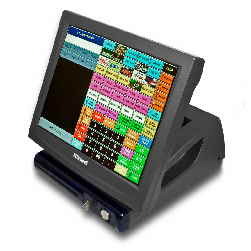 We have over twenty years experience in EPOS installation and commissioning. Our aim is to provide a third party solution to your cabling and installation needs working closely with you and the supplier of your EPOS equipment to achieve a high quality installation to the manufacturers specification with the minimum disruption to your day to day trading at competitive prices. CAT 5/5e/6 commonly used to network PC’s and newer PC based EPOS systems. RS232 commonly used to communicate with many bespoke EPOS terminals from the back office PC. 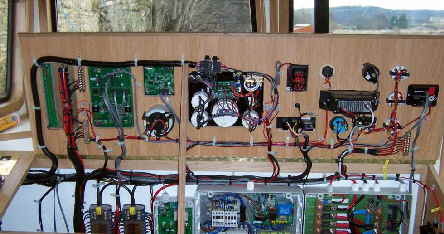 RS485 commonly used for terminal data links between bespoke EPOS terminals. WIFI access points and antenna now becoming increasingly common to communicate with handheld devices. eg EFT terminals, order pads and stocktaking devices. 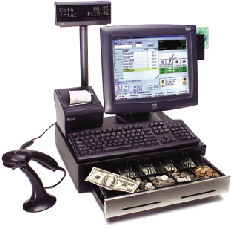 Besides cabling we also offer a full installation or relocation service of the entire EPOS system from the front of house terminals and printers to back office PC’s, routers and network hubs etc. We can also provide cabling and installation services for voice, security, CCTV systems or any other bespoke equipment needs you may have. We carry out marine electrical installation services to the recreational boating market from simple DC lighting systems through networked fully automated AC/DC systems. We specialise and are fully trained in the installation of the cutting edge equipment supplied by Victron, Energy Solutions and Mastervolt but are more than capable of installing any other manufacturers equipment to the required specification. 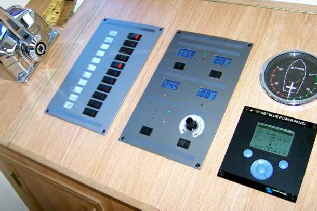 Navigation and Communications equipment installation. Marine Security and tracking systems. 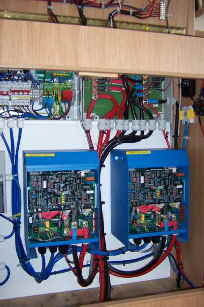 Marine Air conditioning electrical commissioning. Assistance with design & documentation legislation for the RCD.